FDA fast-tracks cancer AI. This morning Paige.AI, a pathology company that uses artificial intelligence for diagnosis and development, was granted a Breakthrough Device designation by the FDA. Page.AI has been working with Memorial Sloan Kettering Cancer Center to digitize pathology slide and create a pathology dataset. It’s cuff-less. This morning Aktiia, maker of a wearable continuous blood pressure monitor, released findings demonstrating that its system does not need to recalibrate after two months of use. The study, which has been accepted for publication at IEEE International Engineering and Medicine and Biology Conference, found that the system was able to “generate blood pressure from a signal recorded at the wrist using off-the-shelf optical sensors can remain stable for up to two months after calibration.” The cuff-less system comes in the form of a bracelet. The validation study was paid for by the company. The company hinted at a new validation study comparing technology against invasive measurements of blood pressure in an ICU that is yet to be released. Baby teeth. Online dental platform and subscription toothbrush company Quip has announced that they are now making an electric brush specifically for kids, according to a recent Engadget report. The company said the electronic toothbrush is a mirror of the adult ones, but designed for smaller mouths and hands. The pediatric toothbrush will include a timer, soft bristles and gentle vibrations designed to be safe for children’s gums. It will follow the Quip subscription-based model where users will get a new brush head in the mail every three months for a $5 cost or a brush head and anti-cavity toothpaste for $10. “The most impactful finding during research was that kids would beam with pride when they were given a 'grown-up' electric brush, and parents were relieved to see this lasting excitement, rather than the short lived buzz a typical flashy kids brush usually had,” Simon Enever, CEO and cofounder of Quip, said in a statement. “The act of brushing went from something kids would avoid at all costs, to a routine they consistently looked forward to, which was a dentist and parent's dream. After a few tweaks to help improve grip for smaller hands, and a brush head perfect for smaller teeth, the same simple, signature quip silhouette and sensitive, timed sonic vibrations were the key to inspiring kids’ positive attitudes and adherence to their oral care routine." Remote cannabis consultations. This morning HelloMD, a platform that connects doctors and patients for cannabis services, launched a new video consultation platform that lets patients in all 50 states talk to a doctors about cannabis options. The clinicians include doctors and nurse practioners in California, New York and Canada. Fit and fierce. A new startup called Mighty just debuted its self-defense fitness app geared towards women. The app gives users more than 300 video lessons and workouts. The app pitches the program as a holistic approach to fitness and mental empowerment. "Mighty is about living life on your own terms,” Nadja Wohlleben, self-defense trainer and co-creator of Mighty, said in a statement. "Knowing how to defend yourself is extremely empowering, and we wanted to make that knowledge as widely available as possible." Sleep data. 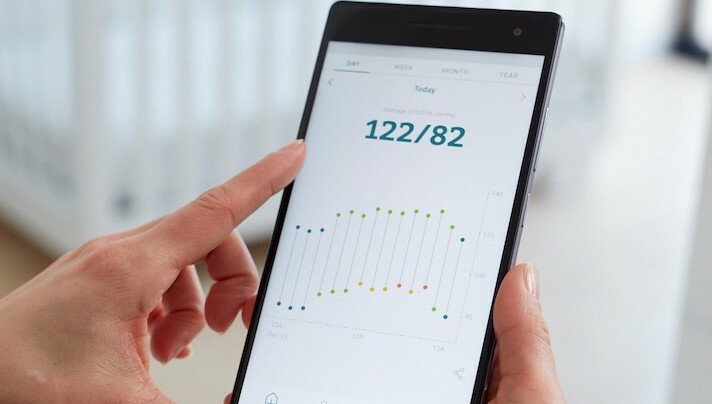 This morning wearable company Huami announced results from its sleep device study, revealing that the device can track sleep and wake periods with better accuracy than a commonly used clinical-grade actigraph. The study done with Stanford University Center for Sleep Sciences and Medicines included 31 participants and used the Amazfit Arc and Actiwatch Spectrum by Philips. The Actiwatch had an overall accuracy of 99 percent and the Actiwatch had a score of 95 percent, according to a press statement.